Ayeeshia-Jayne Smith was murdered by her mother Kathryn Smith in May 2014. Regular live coverage on this page has ended for the day - breaking news, sport and travel updates will continue to appear through the night. A serious crash involving a motorbike and a van has closed Diamond Avenue in Kirkby-in-Ashfield. Emergency services are at the scene of the collision, which happened at about 16.40 this afternoon. Trent Barton said buses on the road have been diverted. It’ll be cloudy with rain clearing to the south overnight and into the early hours but it will feel breezy. Showers will soon clear to the south first thing tomorrow morning. After that a dry day is expected with bright and at times sunny spells where the cloud thins and breaks. Temperatures will reach highs of 15C (59F). Police have named the 30-year-old man killed in a crash near New Whittington on Sunday as Daniel Spooner from Newbold. The car he was driving collided head-on with another on Whittington Road between New Whittington and Barrow Hill. The driver of the other car was a 72-year-old man. He suffered life-threatening injuries and remains at hospital in Sheffield in a critical but stable condition. Police are appealing for any witnesses who have not yet come forward to get in touch with them - particularly if they've captured footage of the vehicles on a dashcam. Heptathelete Niamh Emerson has been named in the Team England squad for the Commonwealth Games. The 18-year-old from Derby will compete in Australia next April. Her team mates will include Adam Gemili, Katarina Johnson-Thompson, Greg Rutherford and Dina Asher-Smith. M1 Leicestershire northbound severe disruption, between J24 for A6 and J24A for A50 Derby. M1 Leicestershire - Heavy traffic and one lane closed on M1 northbound between J24, A6 (Kegworth) and J24a, A50 (Derby), because of a broken down vehicle. The Environment Agency has been in Nottingham clearing a blockage from the River Maun at Ollerton. The blockage was caused by a large branch lodged across the bridge channels. It was causing weeds and debris to get caught restricting the flow of the river. An investigation is under way after a team of track workers narrowly avoided being hit by a train. It happened on the East Coast Mainline at the Egmanton level crossing near Newark on 5 October. The train was approaching at 125 mph when the driver saw a group of track workers in the distance. The driver sounded the train's warning horn but could see no response from the group and after sounding the horn again he applied the emergency brake. The group moved out of the way shortly before the train passed. There were no injuries but the driver mistakenly thought he'd hit someone. The Rail Accident Investigation Branch will establish whether the line side work was competently planned and authorised. A 31-year-old motorcyclist has died after a crash involving a car this morning. 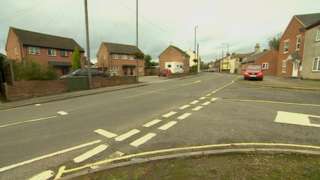 It happened in Drayton Road between East Drayton and Stokeham at about 06:40, Nottinghamshire Police said. 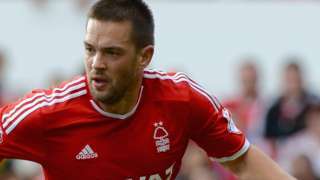 Former Nottingham Forest forward Matty Fryatt is training at Walsall after more than two years out injured. Councillors have this afternoon approved plans to spend nearly £8.5m to fit sprinklers in high-rise flats. Nottingham City Council has agreed to foot the bill after the government refused to pay for the work following the Grenfell Tower Fire. City council leader councillor Jon Collins has warned it might delay other projects. Mr Collins said: "Our MPs raised this matter on a regular basis and from our perspective we have now made a commitment that we will be doing this work come what may, but we would like a contribution from government." 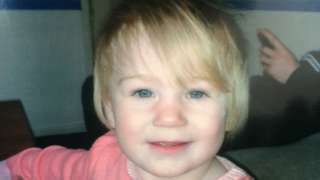 Fish have been poisoned and items have been damaged at a memorial garden to murdered toddler Ayeeshia-Jayne Smith. Ricky Booth dedicated an area in his front garden to his 21-month-old daughter who was murdered by her mother in 2014. Mr Booth told the BBC the garden is the only thing that's kept him sane while he's been grieving for the toddler. The vandalism was discovered on Saturday morning. Police were contacted and are investigating. 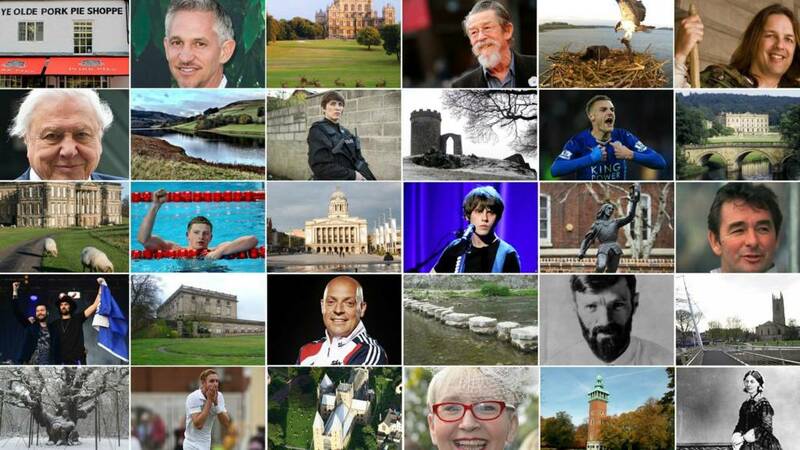 A 10-year plan is being drawn up on how to best maximise Nottingham's cultural offering. The University of Nottingham, Nottingham Trent University and Nottingham City Council are working together on ideas for the next decade and comes just days before the bid for European Capital of Culture. Nottingham City Councillor David Trimble said: "We will have a real coming together of everybody working together over the next 10 years. "A major part of that will be putting a bid in for the European Capital of Culture...we will have everybody working together...we want to reach every school and community." Mansfield Conservative MP Ben Bradley says "inspiring" people is the key to attracting young voters. The 27-year-old, who is the first Tory MP for the town, said his party didn't have the positive messages which Jeremy Corbyn campaigned for during the general elections. Mr Bradley has now set up a new group of young Conservative MPs in the hope of reconnecting with young voters. Video caption: Mansfield Conservative MP Ben Bradley hopes to reconnect with young voters.Mansfield Conservative MP Ben Bradley hopes to reconnect with young voters. James Sarson, 26, who was driving a silver BMW car died in hospital at the weekend. The fact this game is probably the third talking point in the bars ahead of tonight's clash tells you that it’s either not very exciting prospect as a clash, or a lot is going on at King Power Stadium at the moment. The game provides a good chance for the Foxes to progress through to the quarter finals of the competition against a Leeds side who are expected to make a number of changes. Leeds are focused solely on promotion from the Championship into the Premier League and this competition could get in the way of the busy fixture schedule in England’s second tier. So the conversations will likely be on who the next Foxes boss will be, how they’ll cope without midfielder Adrien Silva until January, then maybe a word or two on the game before the fans file into the stadium tonight. Police have confirmed a fire engine involved in a fatal crash in Leicester at the weekend was not responding to an emergency call at the time. The fire engine collided with a car on Lubbesthorpe Way early on Sunday morning killing the 26-year-old driver James Sarson. Health bosses have reassured rural communities they will still get an ambulance when they dial 999 even though they're reviewing where crews are based. East Midlands Ambulance Service (EMAS) said it is looking at proposals which could mean some stations will have fewer ambulances. David Whiting from EMAS said: "It is about making sure we have got the right number of resources in each area and then we will have less drift from particularly the rural areas into the urban patches. "These moves are positive for rural communities." Police say a 27-year-old man was struck by a car as he walked along the pavement.